Buy Cable Labels - "Label Your Cables"
Get FREE SHIPPING when you buy 4 or more packages. $1.95 shipping for 1, 2, or 3 packages. Please contact us for bulk orders and for shipping outside the U.S. and Canada. Note: Sales tax of 6% will be applied for Florida residents. office or car...use them pretty much any place you plug something in. Organize your TV, VCR, DVD, sound system and power cables behind your home entertainment center. scanner, digital camera and power cords around your office or work desk. Label power cords, cable, chargers, and extra adapters you have stored in your junk drawer and never forget what they go to. 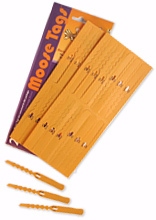 Buy Moose Tags� Cable Labels and label your cables.